The SJC Foster and Adoption Kids' Zone features a Bounce House, Giant Slide and Speed Pitch. Kids can enjoy some time in the Bounce House, a ride on the Giant Slide and 3 throws at the Speed Pitch for a $1 each. 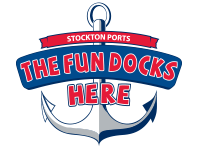 Young fans who would like to play all game long can enjoy unlimited fun in the Bounce House, Giant Slide, Speed Pitch, and Stockton Ports Batting Cages for $10 on weekend games! For $5 during the week, kids can enjoy unlimited use of the Bounce House, Giant Slide, and Speed Pitch! 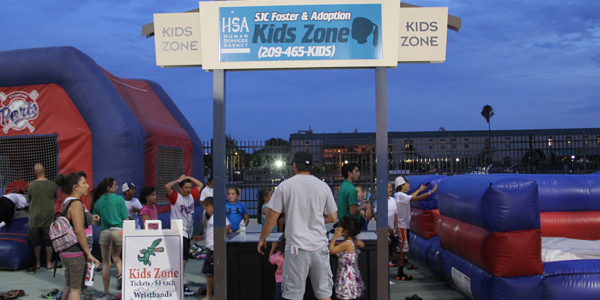 Be sure to check out The SJC Foster and Adoption Kids Zone at your next Ports game!